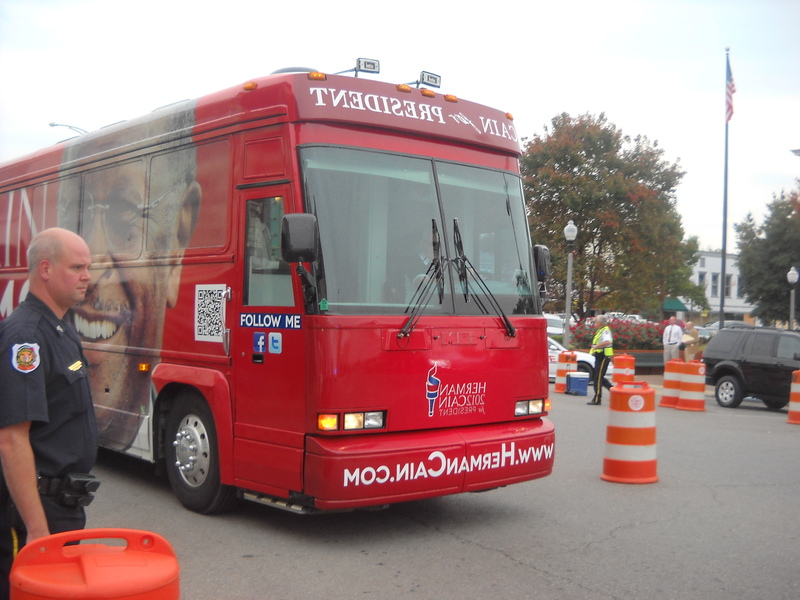 It is very rare that we get a presidential candidate to come to Alabama. 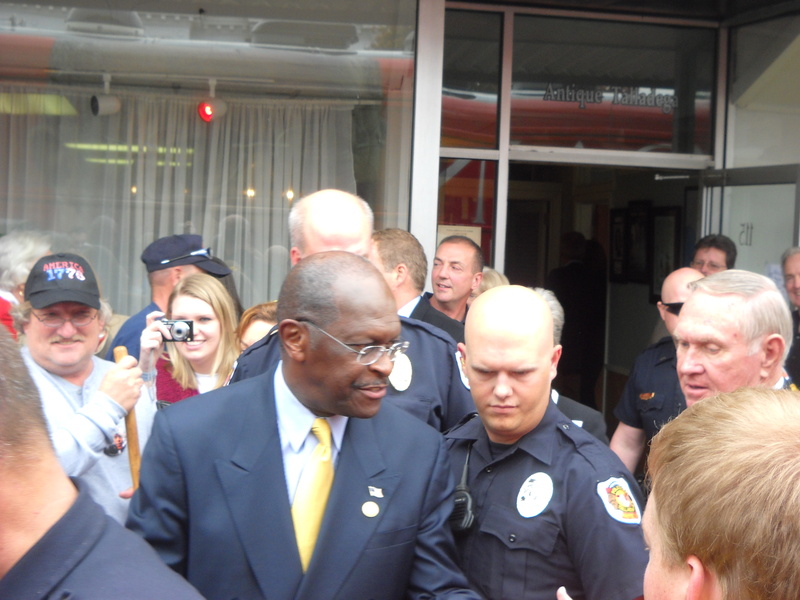 But on Friday; Republican front runner Herman Cain came to Alabama. 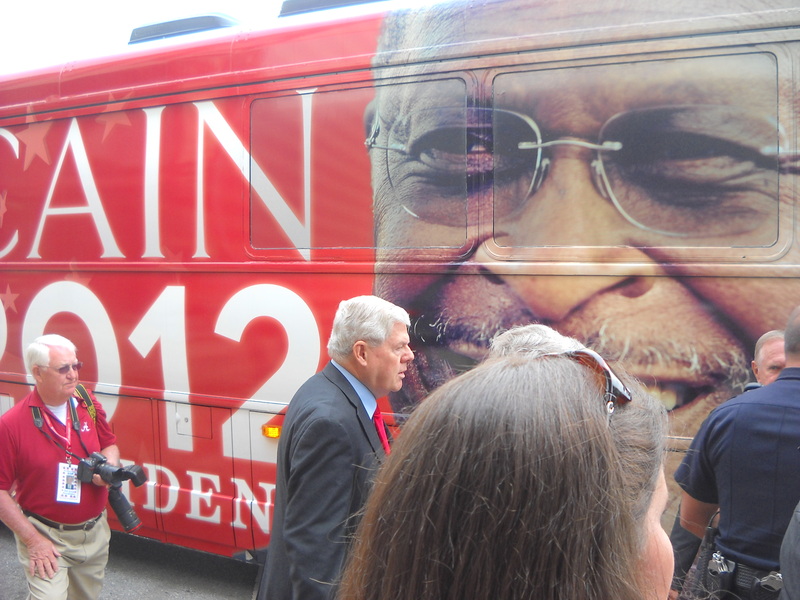 Mr. Cain showed up in a tour bus in Talladega. 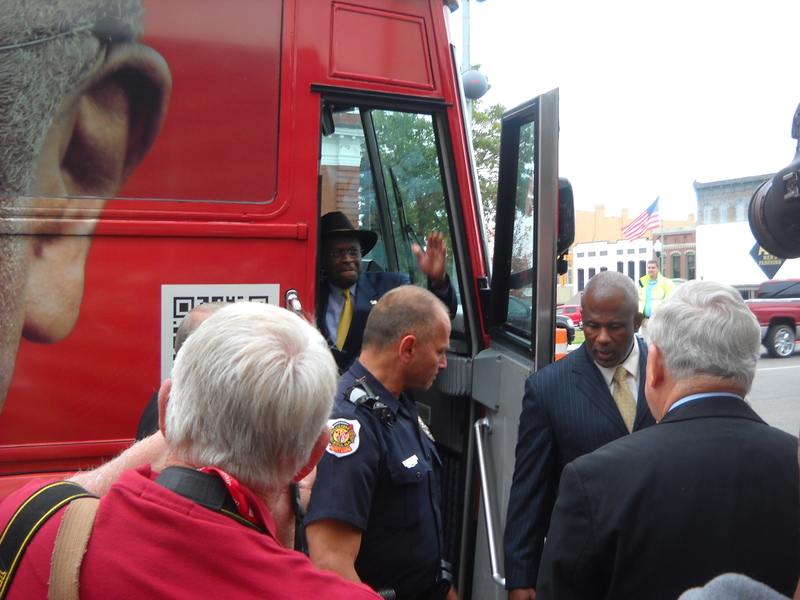 And came off the bus wearing a cowboy hat and shaking hands in the crowd. A good mix of people showed up to this event. 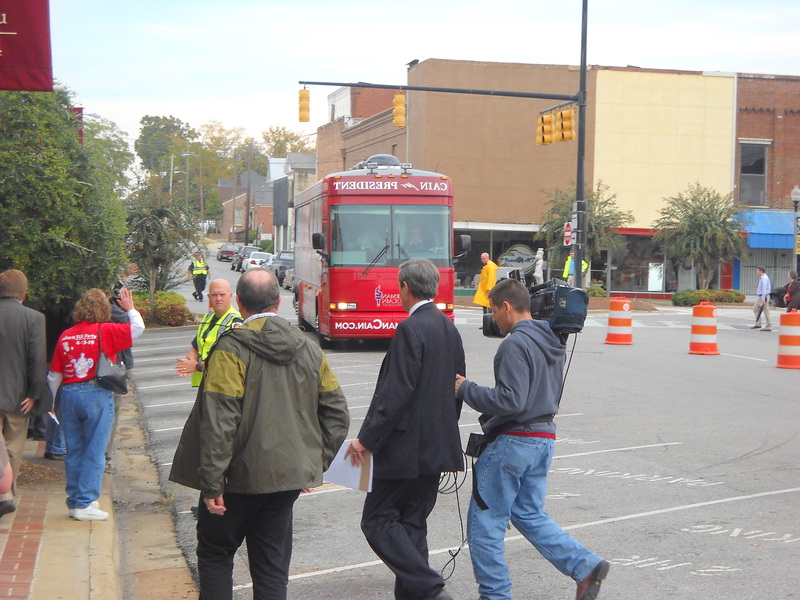 Media from Fox News, ABC News and the Associated Press were there. 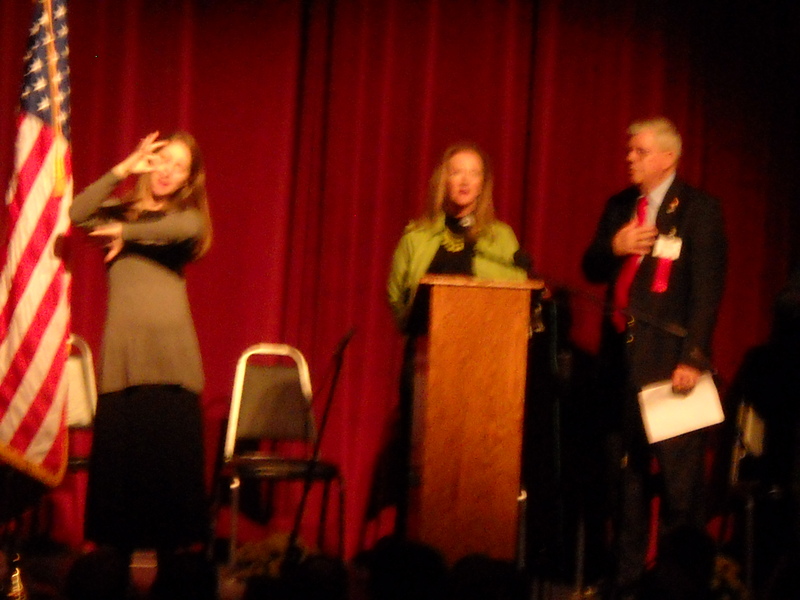 And students from the Alabama School for the Deaf and Blind and Donoho School were there as well. 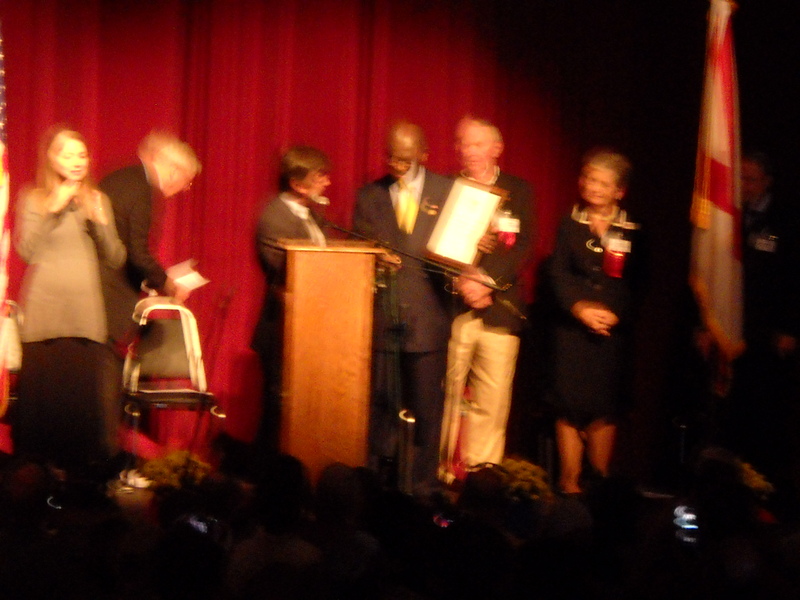 After a couple of announcements and a singing of the Star Spangled Banner; Mr. Cain received the key of the city from the Talladega mayor. 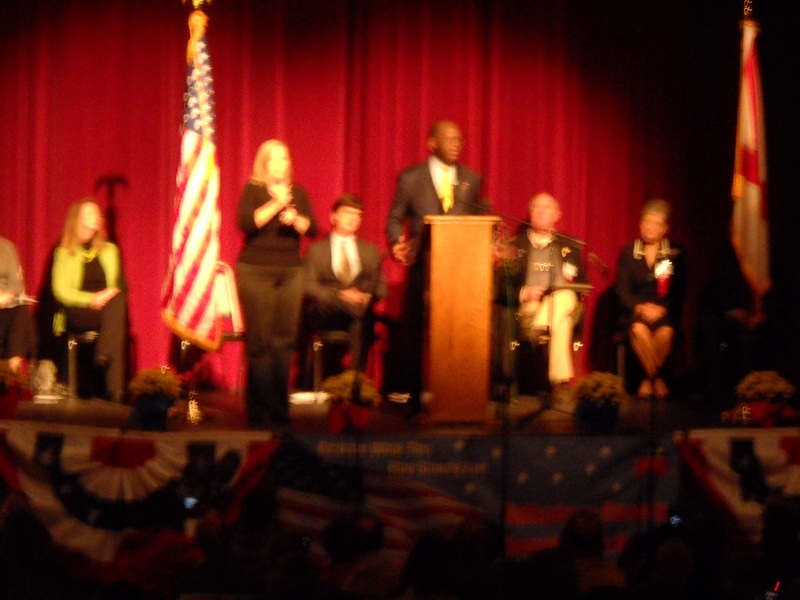 Then Herman Cain spoke to a very good crowd. 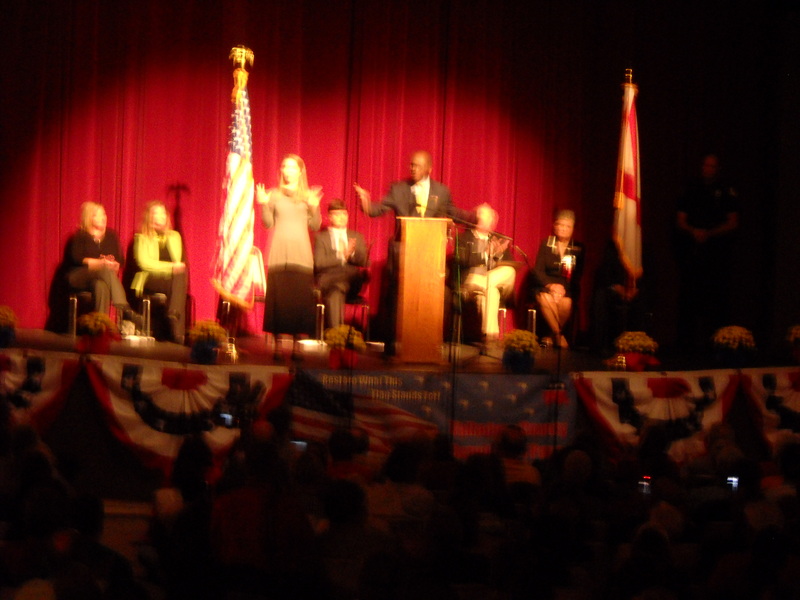 Many in the crowd agreed with what Mr. Cain said during the speech. 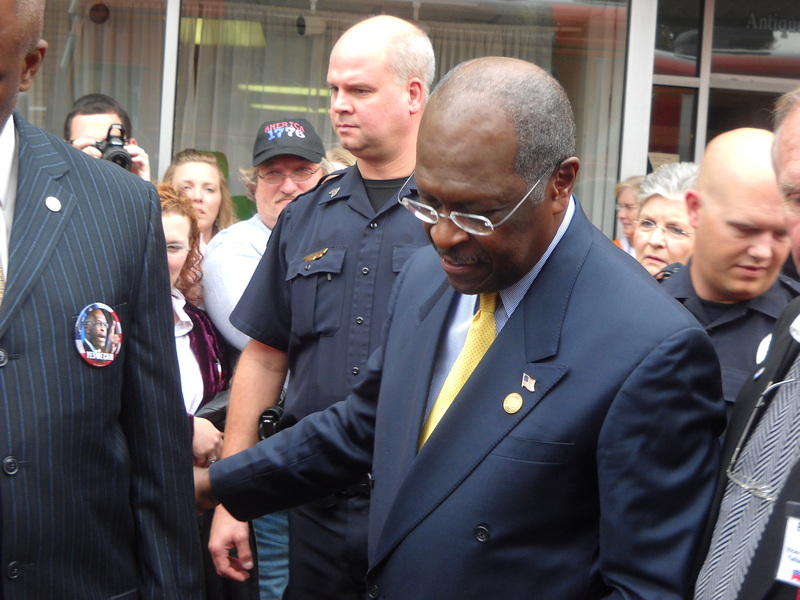 Herman Cain spoke a lot about his 9-9-9 plan. 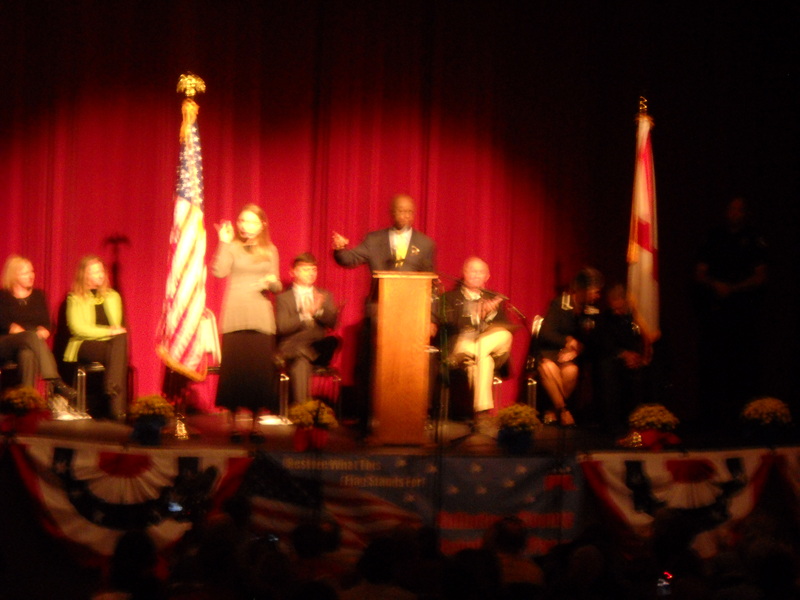 “9-9-9 means jobs, jobs, jobs.” I thought that was the biggest catch phrase of the speech. 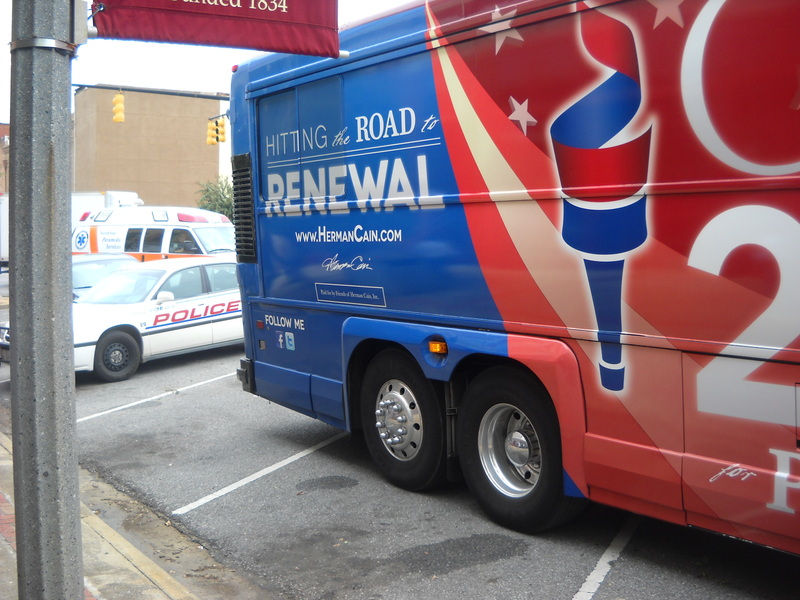 He believed the entire tax code should be thrown out with the 9-9-9 plan. 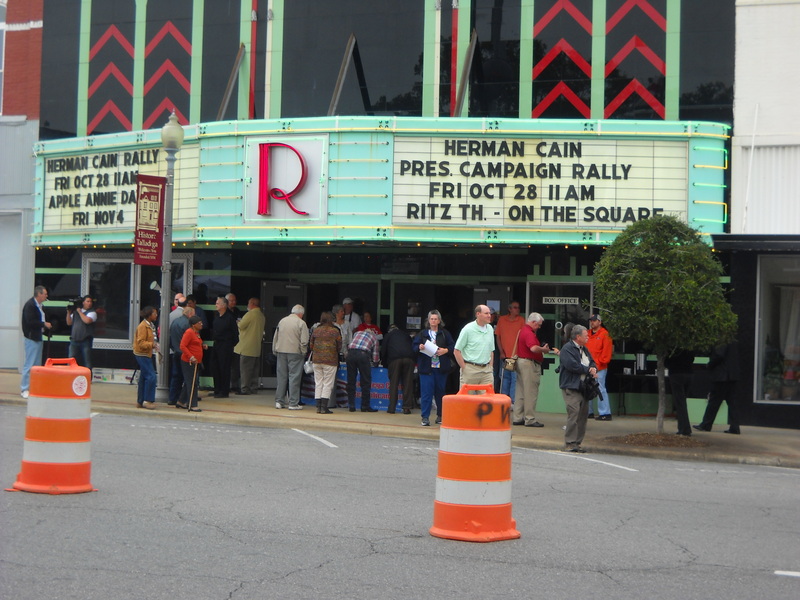 Cain said that until we replace Obama in the White House; nothing will happen to fix the economy. 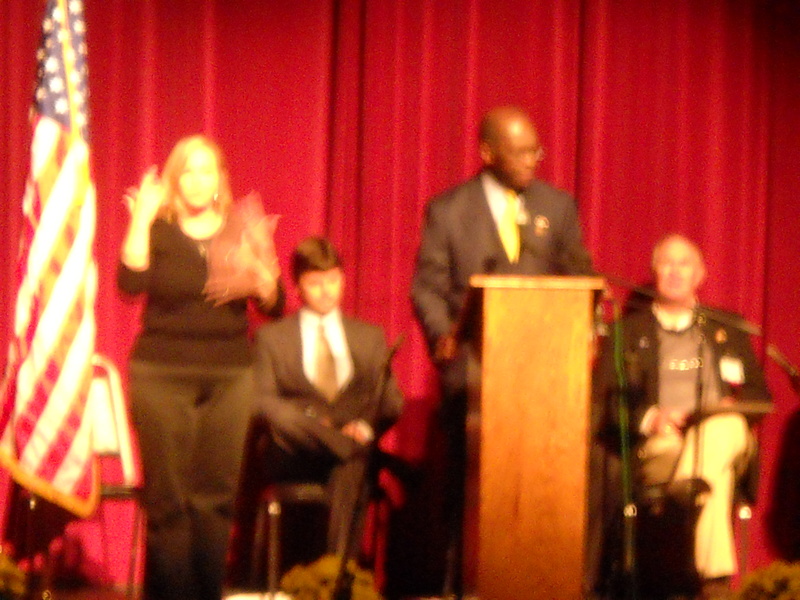 He also said we need bold solutions to find work for the 14+ million out of work (like me). 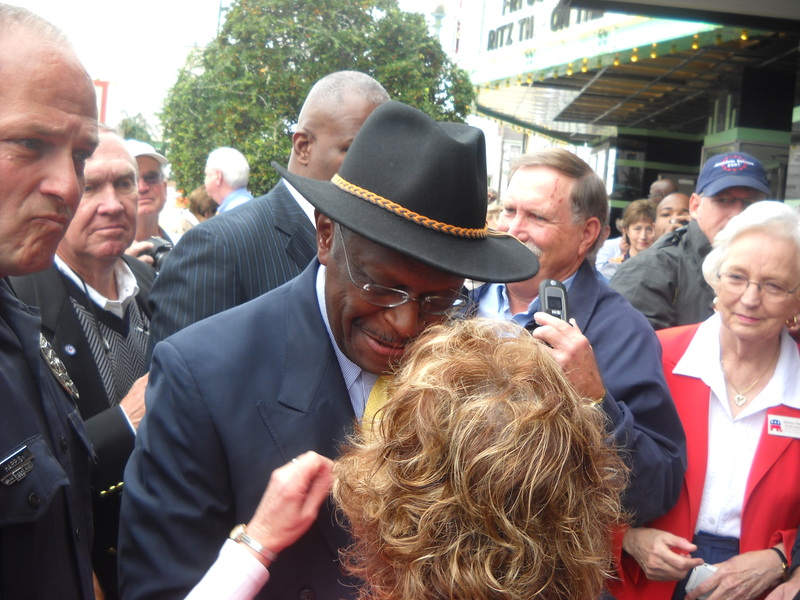 Mr. Cain is a stage 4 cancer survivor and the former CEO of Godfather’s pizza. He believed that the Founding Fathers believed in life, liberty and the pursuit of happiness and they also supported the Second Amendment that gives us the right to bear arms and protect our families, our homes and ourselves. 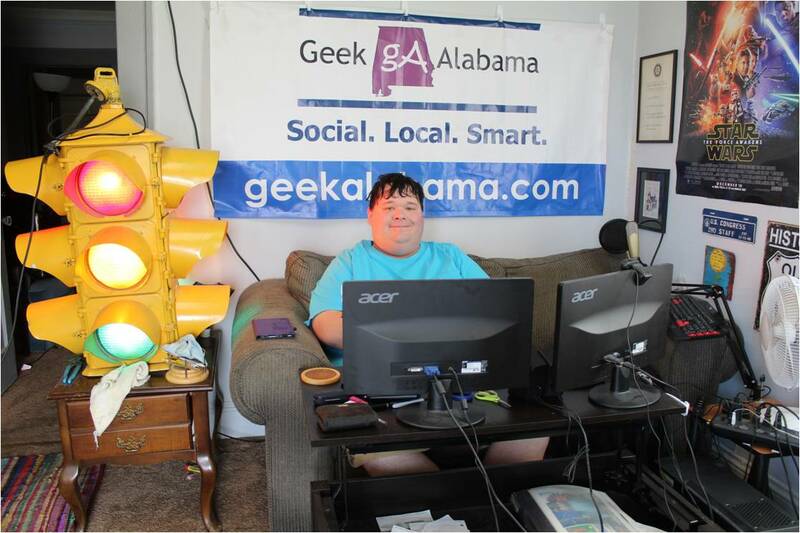 Overall he believed God and his family inspired him to run for president and the policies that Obama has enacted made him decide to run for president. 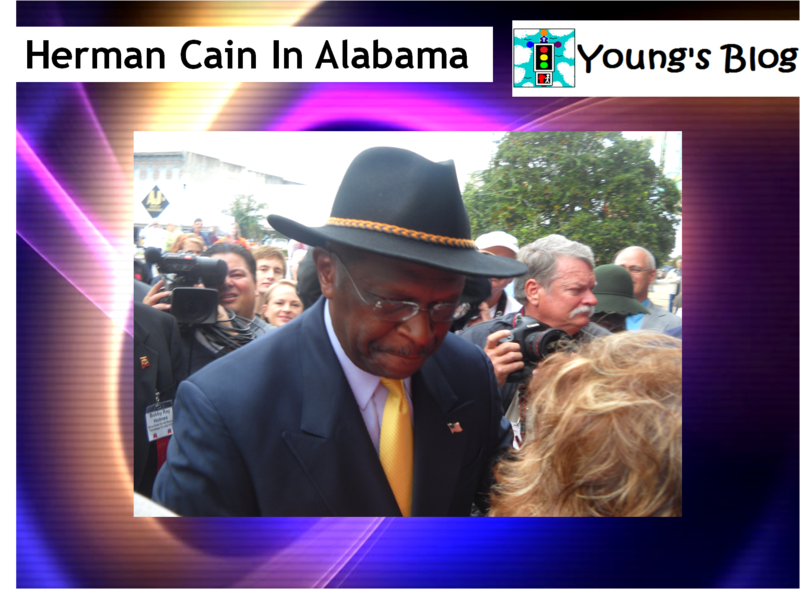 Mr. Cain is a big believer of God. He thought that everyone has been given skills, abilities, and talents by God and we have a responsibility to use these gifts of God to make a difference in the community. 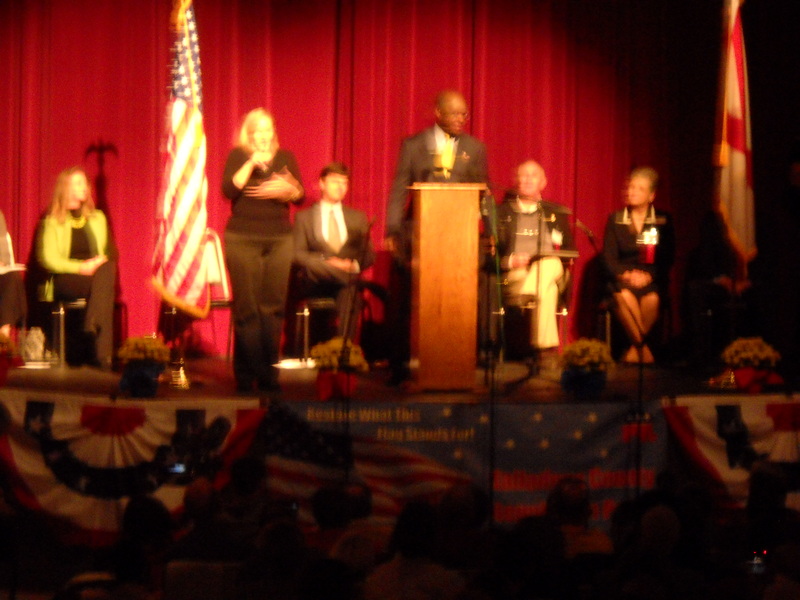 I thought Mr. Cain gave a great speech and the crowd loved what he talked about. Some good quotes from The Daily Home Newspaper. 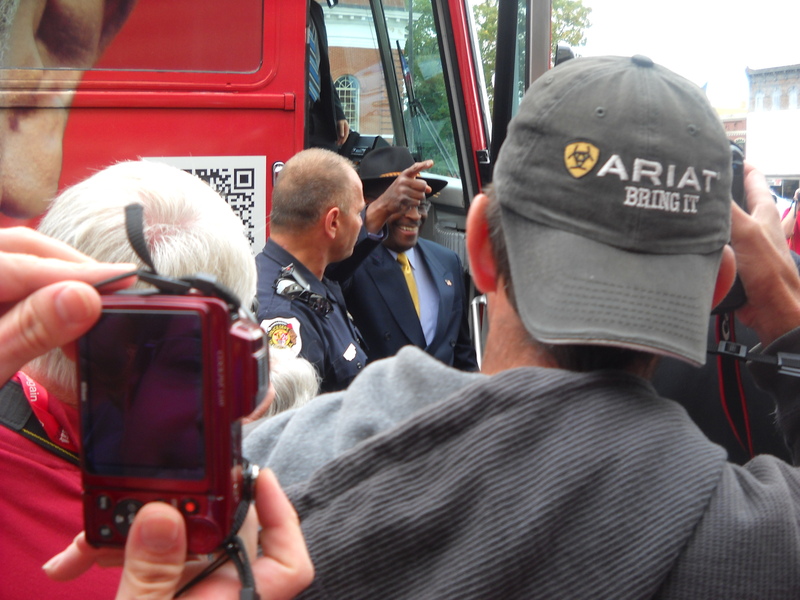 “And the guy (Obama) in there (the White House) now does?” he asked. 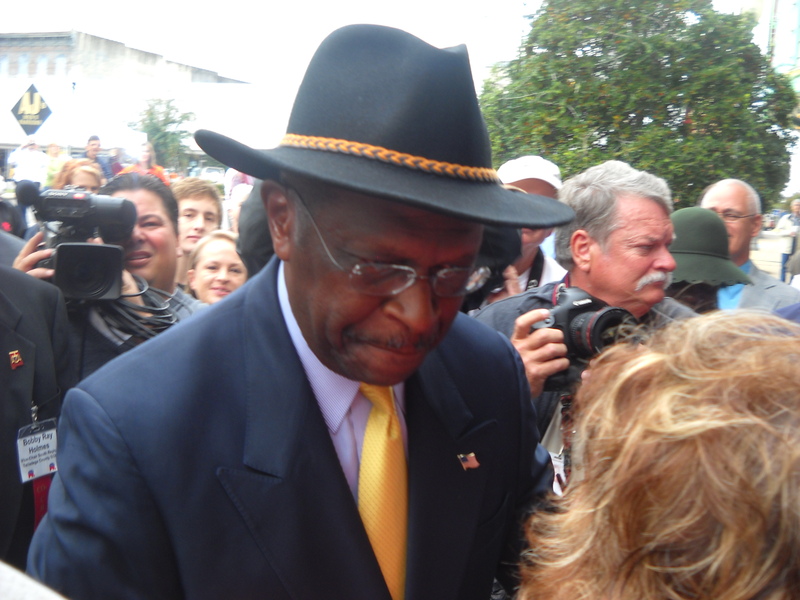 “We need to kick it up a notch,” Cain said of people’s involvement in the political process. “Liberals want you to believe we can’t do this. “This is not about us,” he said. 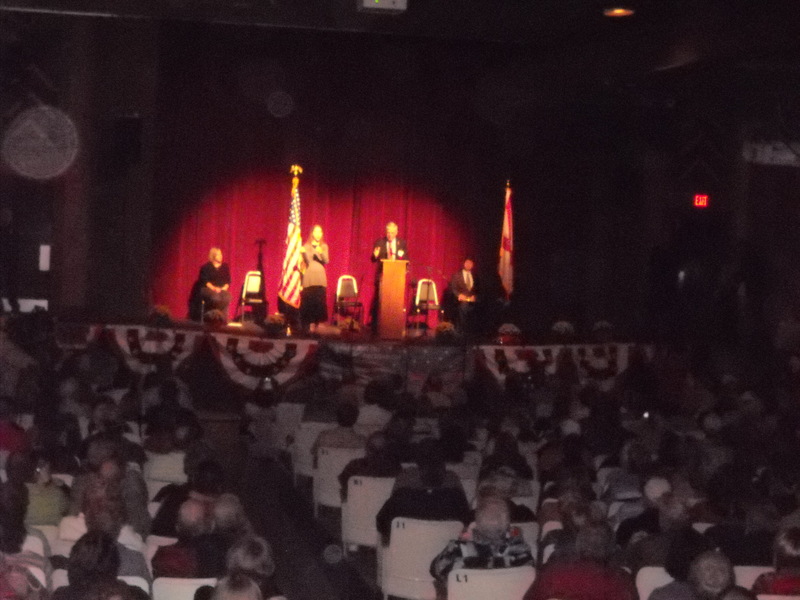 “This is about our grandchildren.